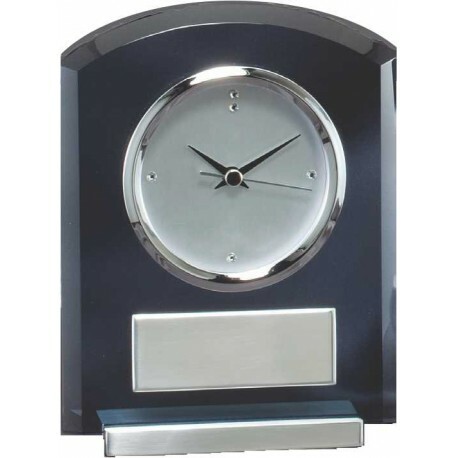 Smoked glass clock with silver accent. 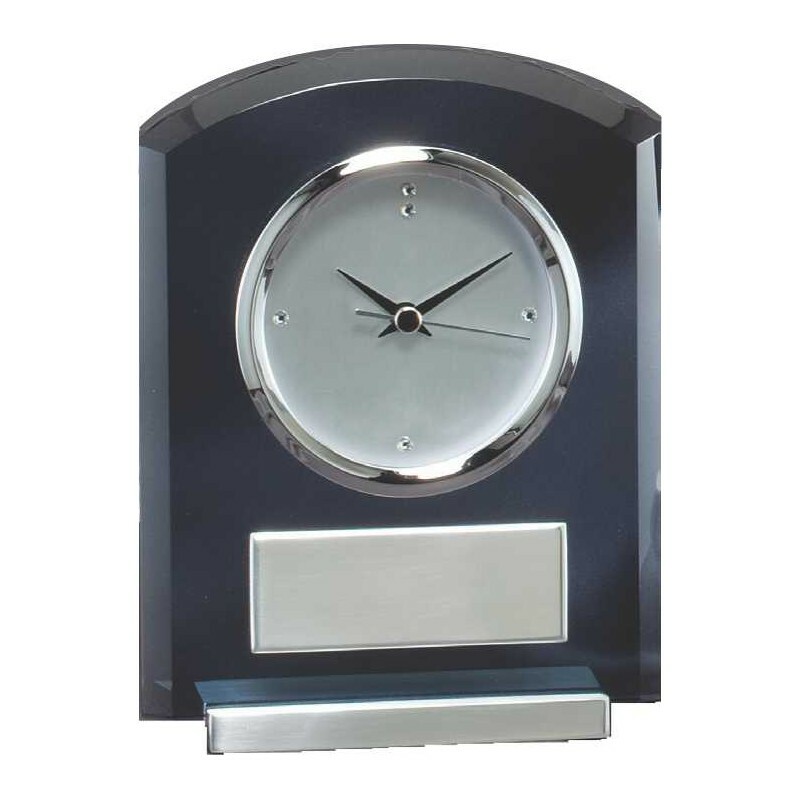 A timeless award as it can be easily displayed in an office or at home. Great detail and quality craftsmanship in our corporate awards are the perfect way to say thank you or good luck in your retirement.